It is with great pride that we celebrate our golden anniversary as a manufacturer! This happy event provides an opportunity to make a positive assessment about the evolution and progress of our family business so far. As we look back, we are pleased to see that PLB’s history is filled with great achievements! Founded in 1969 by Mr. Jean-Marie Brasseur, the company was initially dedicated to the production of farm animal feed. A few years later, thanks to his visionary qualities, he seizes the opportunity to change PLB’s vocation and from that moment on, shifting gears to feeding cats and dogs. That’s how in 1981, the company became Quebec’s first pet food manufacturer. In 1990, the 1st Choice Nutrition brand is launched. With formulas tailored to fit animals’ specific needs, it is the first premium quality food in North America to use fresh chicken. In 1993, the Pronature Original brand is launched. Meeting consumer’s demand, it surpasses the quality of commercial brands, while maintaining a very competitive price. In 1994, 1st Choice enters the international market through a first partnership with Japan, quickly followed by a breakthrough in Europe. In 1999, PLB’s leadership is transferred to the sons and daughter of Mr. Brasseur. Since then, a third generation of the Brasseur family has also taken its place within the organization. Thus, the passion and family values continue to be conveyed. In 2009, the first generation of Pronature Holistic line is launched. In 2015, the second generation of Pronature Holistic products makes its appearance. This premium quality line is crafted with ingredients inspired by the healthiest international diets. A world of wisdom in every bite! It’s in 2018 that the newest member of the Pronature family product is born! The modern and trendy Pronature Life brand, based on fresh meat and superfoods, allows consumers to "nourish differently". The "Fit - Green +" recipe has just been voted "Best New Product 2018" by the industry, at the 20th edition of the Salon ExpoZoo 2018! We are now in 2019! For half a century PLB has been dedicated to promoting cats and dogs’ health! Over time, our family business has developed an expertise that allows it to enjoy a great reputation recognized internationally. Our high quality foods reflect the current trends in animal nutrition research and since 1969, our products have never been recalled! We are particularly proud to say that after all these years, we are still established in our Boucherville’s plant and that we succeed, thanks to the know-how and talent of the people here! 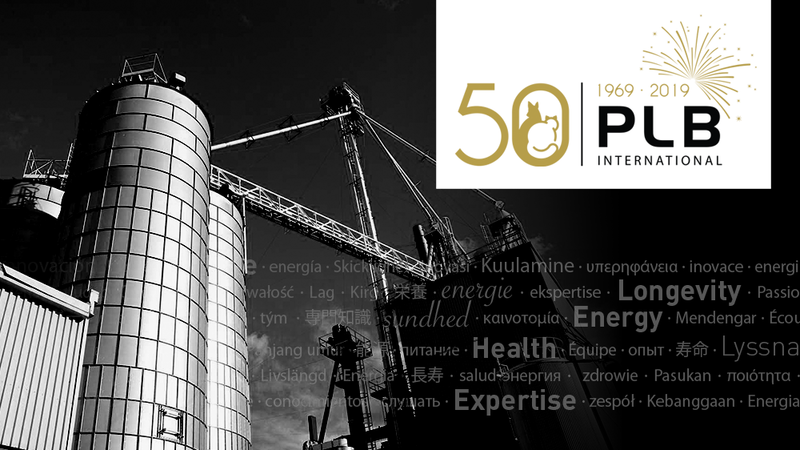 Always focused on the future and growth, PLB continues to be on the lookout for the latest discoveries in animal nutrition. Indeed, we work tirelessly to develop new innovative lines of products to meet the requirements of the industry, but most importantly, to meet the needs of our consumers. In addition, we are committed to finding solutions to continuously reduce our ecological footprint and make eco-friendly choices! 50 years is something to celebrate! In order to reward and thank our employees for their great work and commitment to the company, PLB decided to make it big! Throughout 2019, many surprises and activities under the 50th anniversary theme will be organized to celebrate this joyful event. Happy anniversary PLB and thanks to all our valued partners, collaborators and suppliers! Warm thanks also to all our dedicated employees who put passion and heart into their work so that the company continues to innovate and shine internationally. Together, we are the PLB family!